What a year! A lot happened on the Business Blog in 2013. We went over 75,000 views this year. For that we are forever grateful to you, our readers, who support us! We also beefed up our blogger roster and our writers tackled some tough, funny, and important topics. They ranged from ways to survive the holiday season at work to work-life balance and toll fraud. As 2013 comes to an end we thought it would be fun to look back at the top 9.3462 blog posts of 2013. 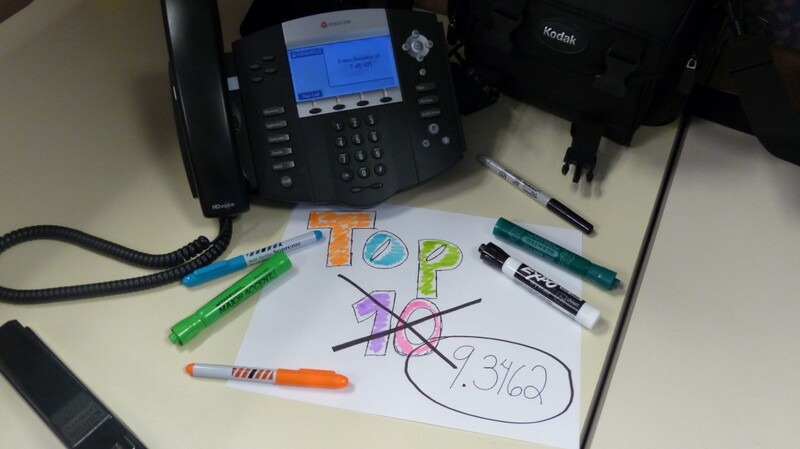 You’re probably wondering why we went with 9.3462 as opposed to “top 10?” Well, everybody does a “top 10 list” and we wanted to do something a little different. And before you ask, no there is no significance to the number 9.3462…or is there? Enjoy the list! Want to know what topped our list this year? You’ll have to come back next Friday for the exciting conclusion!